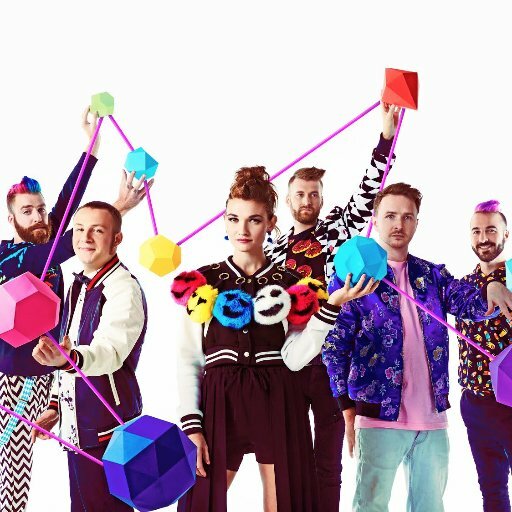 Fox Theater Oakland announces MisterWives on Wednesday 4th October 2017! If you love creative fun in the form of a pop band, then you have come to the right place as MisterWives have plenty of that to give on offer this coming Fall! Tickets are flying for the show that will no doubt stay in your mind and hearts for a long time coming! Come and enjoy their upbeat sounds – limited tickets still available. Starting off as a support act for huge bands such as the likes of; Panic! at The Disco, Twenty One Pilots, Bleachers, Walk the Moon and many more, MisterWives gained their own dedicated following and became a headline act in their own right! Now embarking across North America on their very own tour, Mandy Lee, percussionist Etienne Bowler, bass guitarist William Hehir, guitarist Marc Campbell, multi-instrumentalist Jesse Blum, and saxophonist Mike Murphy will be traveling from their hometown New York City across the country! Join the party as they make their way to a venue near you and bring their latest material as well as hits from their debut album, 'Our Own House' released back in January 2015!